Arizona has two common options for minimizing the mark of past run-ins with the law. The first referred to as “setting aside” a criminal conviction is available for most convictions in Arizona. The second referred to as “sealing and destroying” a criminal record, is available in very limited circumstances. 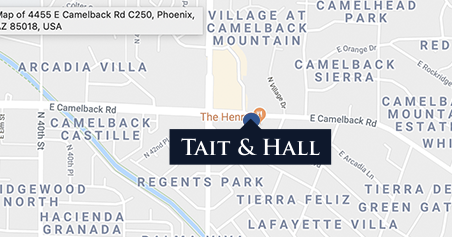 If you have questions about whether you qualify for a set-aside or to have your record sealed and destroyed, call Tait & Hall at (480) 405-6767.